Great drummer, Ed Shaughnessy was born Edwin Thomas Shaughnessy on January 29th, 1929 in Jersey City, USA. He started studying piano but soon switched to drums. His first gig was in 1948 with George Shearing Group. He played for a while with Bobby Byrne, and still in 1948, Ed joined Charlie Ventura Orquestra, until 1950. He toured Europe as part of Benny Goodman Sextet, also a member of Tommy Dorsey Big Band and playing gigs with Lucky Millinder. Then, he moved to New York, starting a fruitful career as sessionman. In 1969, he played with Roy Eldridge and Coleman Hawkins at Maryland Jazz Festival. He also had his own Big Band for some time. As a curiosity, when Jimi Hendrix appeared at The Tonight Show on TV, he played with Billy Cox on bass and used Ed Shaughnessy on drums in his performance of ´Lover man´. Shaughnessy played in The Tonight Show Band from 1967 to 1992. Sadly, Ed Shaughnessy passed away on 24th May, 2013 in Calabasas, California due to a heart attack. He was 84. This is a very brief list of some band where he played. Also, the credit list is quite incomplete, but I hope it´ll be growing in the future, as soon as I have the time to dedicate to it. They appear in the live album Gene Norman presents a Charlie Ventura concert. Sayyd Abdul Al Khabyyr, Cat Anderson, Ivie Anderson, Harold Ashby, Alice Babs, Harold ´Shorty´ Baker, Aaron Bell, Louie Bellson, Bill Berry, Eddie Bert, Barney Bigard, Jimmy Blanton, Wellman Braud, Lawrence Brown, Roy Burrowes, Harry Carney, Sid Catlett, Chuck Connors, Willie Cook, Barry Cooper, Buster Cooper, Bill ´Wild´ Davis, Bobby Durham, Bass Edwards, Duke Ellington,... up to 102 musicians. + maybe some others, unknown to me. Help! Comments: Recorded in June 1966. Comments: Recorded in August and September 1966. Comments: Recorded in October 1965 and February 1967. Comments: Recorded in November 1967.
Pepper Adams, Harold Ashby, Clarence Banks, William ´Scotty´ Barnhart, Count Basie, Louie Bellson, Emmett Berry, Lin Biviano, Richard Boone, Manny Boyd, Carmen Bradford, Oscar Brashear, Ray Brown, Ray Brown, Roy Burrowes, Don Byas, George Caldwell, Paul Campbell, Tee Carson, Ace Carter, Henderson Chambers, Jimmy Chappell, Doc Cheatham, Buddy Childers, Buck Clayton,... up to 190 musicians. Comments: Recorded in December 1952 and August 1953. Danny Bank, Pete Candoli, Buddy De Franco, Sam Donahue, Allen Eager, Bob Findley, Bud Freeman, Urbie Green, Skeets Herfurt, Harry James, Al Klink, Gene Krupa, Lou Levy, Ray Linn, Sam Most, Sammy Nestico, Bob Odneal, Bill Pusey, Buddy Rich, Nelson Riddle, John Rotella, John Scarpulla, Sol Schlinger, Tony Scodwell, Doc Severinsen,... up to 32 musicians. Bonnie Addleman, Bob Allen, Walter Benson, Bunny Berigan, Buddy Boudreaux, Joe Cabot, Warren Covington, Gale Curtis, Joe Derise, Tommy Dorsey, Ziggy Elman, Pee Wee Erwin, Stuart Foster, Connie Haines, John Huddleston, Ben Kono, Salvator Laperche, Jack Leonard, Chuck Lowry, Mickey Mangano, Dodo Marmarosa, Carmen Mastren, Johnny Mince, Buddy Morrow, Larry O´Brien,... up to 41 musicians. John Audino, Louie Bellson, Conte Candoli, Pete Christlieb, Kenny Davis, Mel Davis, David Delhomme, Willie Dennis, Joel DiBartolo, Kevin Eubanks, Paul Faulise, Chuck Findley, Russ Freeman, John Frosk, Bernie Glow, Urbie Green, Ronnie Gutierrez, Bob Haggart, Dorian Holley, Robert Hurst, Paul Jackson, Wally Kane, Kenny Kirkland, Al Klink, Arnie Lawrence,... up to 55 musicians. Bob Alexander, Don Ashworth, Bob Bain, John Bambridge, Sy Berger, Gene Bertoncini, Will Bradley, Teddy Campbell, Sid Cooper, Milton DeLugg, Nick DiMaio, Randolph Ellis, Gerry Etkins, Gilbert Falco, Harold Feldman, Joe Ferrante, Matt Finders, Miguel Gandelman, Maurice Harris, Scott Healy, Skitch Henderson, Al Howard, Dean Kincaid, Yank Lawson, Walter Levinsky,... up to 55 musicians. Comments: Recorded live in 1949. 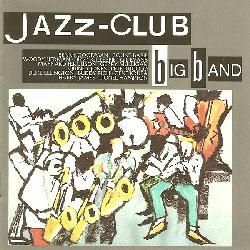 Comments: Album comprising tracks by Freddie Hubbard And Friends (3 tracks), Don Menza´s 80s Big Band (3 tracks), Jack Sheldon´s Late Show All-Stars (3 tracks) and John Dentz Reunion Band (2 tracks). Comments: Recorded in April 1962. Comments: Recorded in October & November 1969. Clarence Banks, Stanley Banks, Kenny Barron, George Benson, Dave Boruff, Manny Boyd, Gerry Brown, Tom Brown, William ´Bubba´ Bryant, George Caldwell, Jorge Dalto, Dennis Davis, George Duvivier, Cleveland Eaton, Brandon Fields, Barnaby Finch, Ronnie Foster, Derrick Gardner, David Garfield, David Gibson, Estaire Godinez, Omar Hakim, Thom Hall, Kenya Hathaway, Kenny Hing,... up to 53 musicians. Comments: Recorded in January 1954 and June 1955. Comments: Recorded in August 1988. Comments: Remastered CD contains 2 bonus tracks. Comments: Recorded in different sessions in February 1956, July 1956, October 1956 and April 1957. Comments: Recorded in January and March 1959. Comments: Gigantic 18CD boxset with tracks recorded from 1962 to 1969, and including 98 unreleased tracks! Comments: Recorded in September 1960, September 1961, October 1961 and June 1962 as a quintet, sextet and with the Oliver Nelson Big Band. CD reissue contains 1 bonus track from 1958. Comments: Recorded in three days in October 1966. Comments: Recorded in different sessions in June 1962, September 1962 and April 1963. Comments: Recorded in Februay 1965. Comments: Recorded in July and September 1969. Comments: Recorded in two sessions in August and October 1955. Comments: Recorded in February and March 1956. Comments: Recorded in different sessions in December 1953, January 1955 and September 1955. Comments: Recorded in May 1968. Comments: Recorded in November 1962 and during February & March 1963.
Pepper Adams, Tommy Allison, Trigger Alpert, Bob Ascher, Joe Azarello, Kenny Barron, Frank Basile, Pete Beltran, Lin Biviano, Betty Bleigh, David Boyle, John Bunch, John Burr, Joe Calo, Candido Camero, Jack Carmen, Dave Carpenter, Al Cassigrandi, Bob Coassin, Al Cohn, Ritchie Cole, Paul Congella, Jay Corre, Sonny Criss, Dave Culp,... up to 142 musicians. Comments: Recorded in August 1963. Comments: Recorded in two sessions in April 1966. Comments: Recorded in April 1968. Comments: Recorded in November 1960. Wayne Andre, Dave Bargeron, Joe Benjamin, Richard Boone, George Coleman, Barry Cooper, Larry Coryell, Eddie Costa, Sylvia Cuenca, Dennis Davis, Bobby Durham, Allan Ganley, Donald Harrison, Jimmy Heath, Conrad Herwig, Red Holloway, Milt Jackson, Paul Jeffrey, Osie Johnson, Virgil Jones, Roger Kellaway, Rick Laird, Arnie Lawrence, Victor Lewis, Curtis Lundy,... up to 42 musicians. Disclaimer: I don´t own or upload any of the videos linked here. I just include links to live videos that are already available, in order to show the work of this musician. Anyway, if someone feels that some link shouldn't be included, please write me at the email address shown below. And if you know of more videos featuring Ed Shaughnessy, please, also write me with the link. Featuring: Buddy Rich, Ed Shaughnessy.